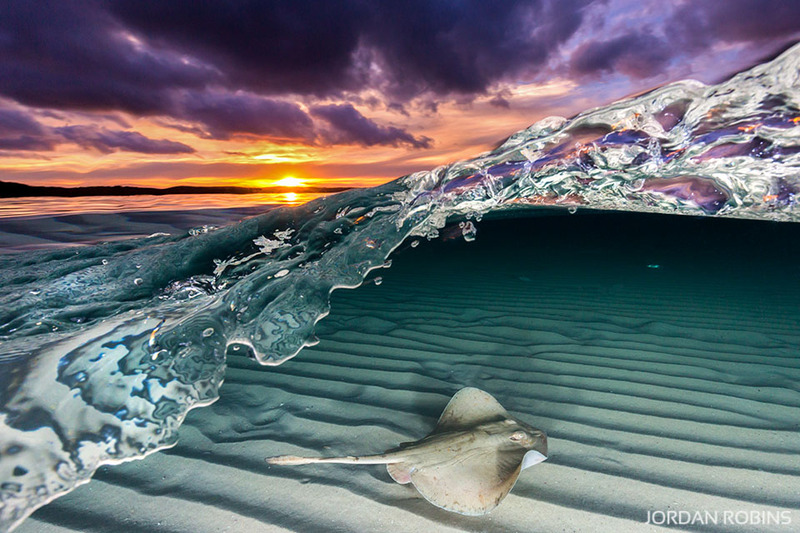 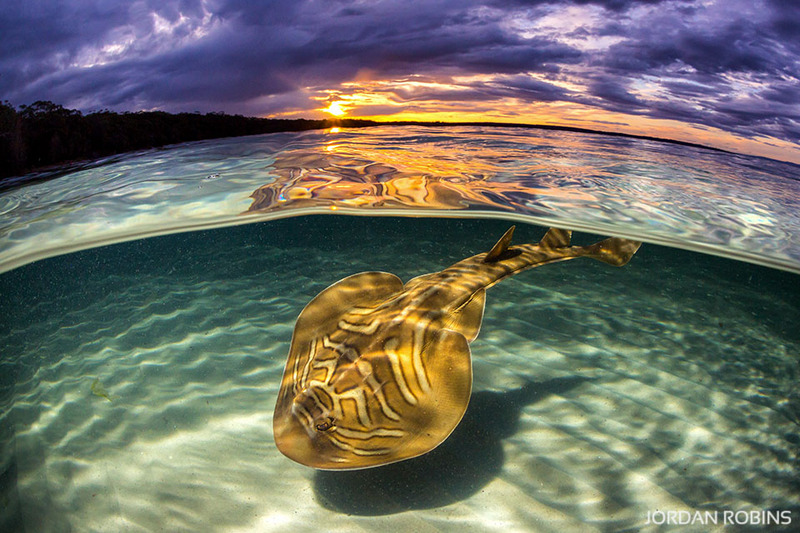 A diverse and unique collection of ocean life imagery as seen through the lens of Jordans camera, showcasing the natural beauty of the underwater world from different corners of the globe. 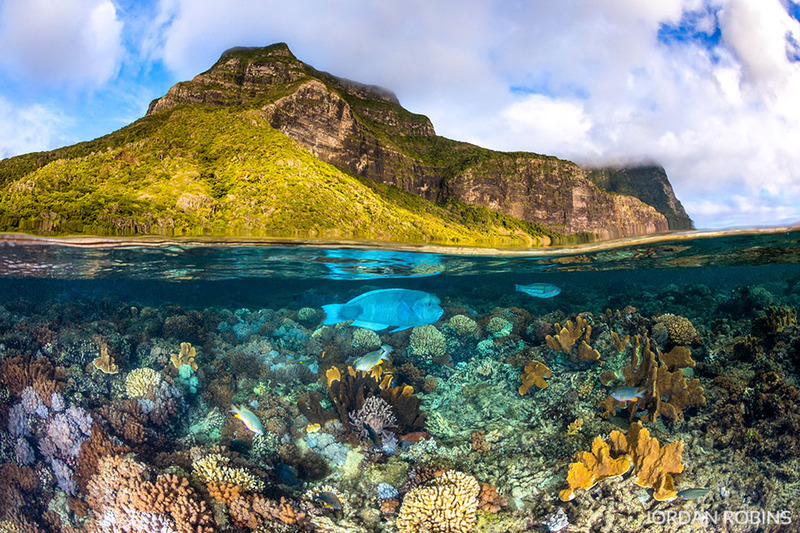 An ‘over under’ image of vibrant coral and marine life below Mount Lidgbird and Mount Gower on Lord Howe Island. 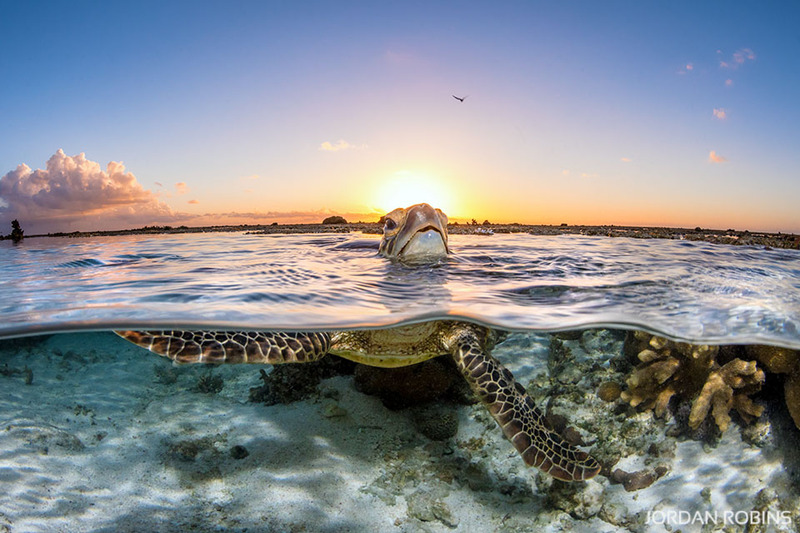 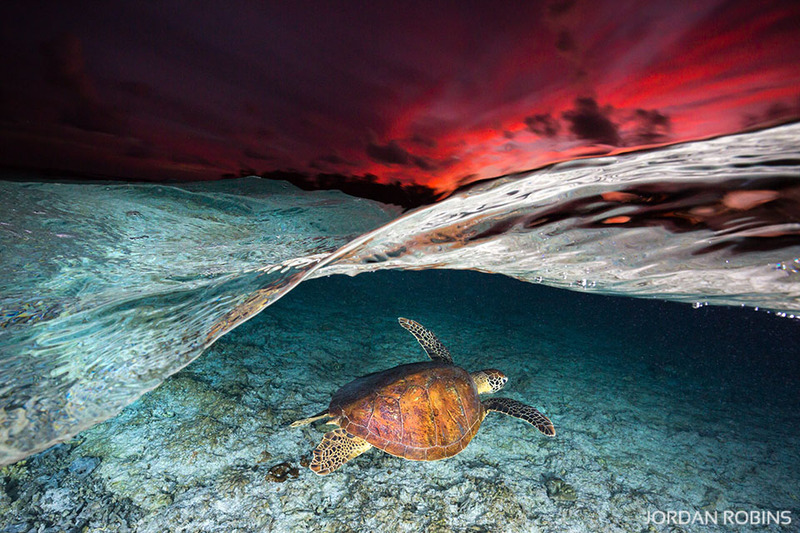 An endangered Green Sea Turtle taking its first breath of the day as the first rays of light begin to peep over the horizon. 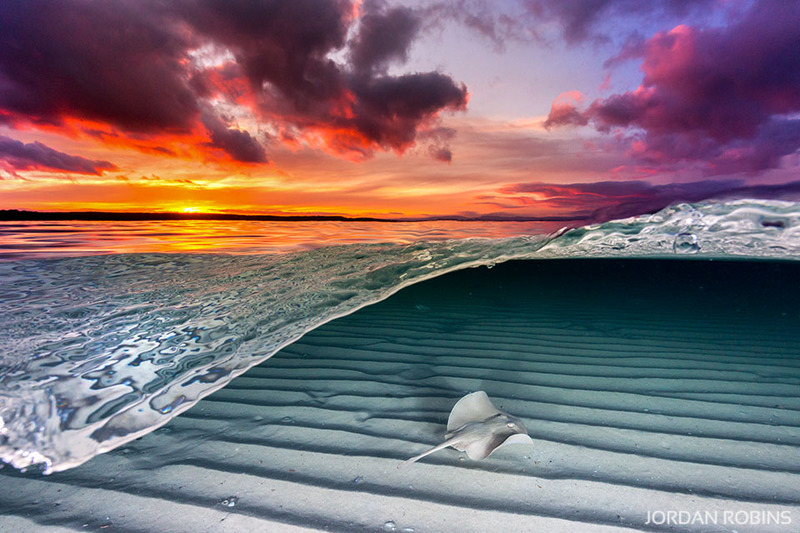 Captured on the Great Barrier Reef, Australia. 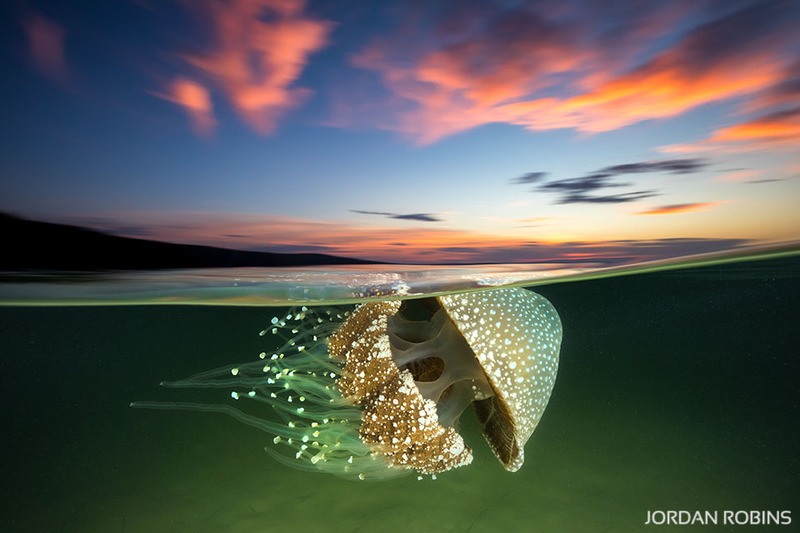 A White Spotted Jellyfish gracefully glides through the water in Jervis Bay on sunset. 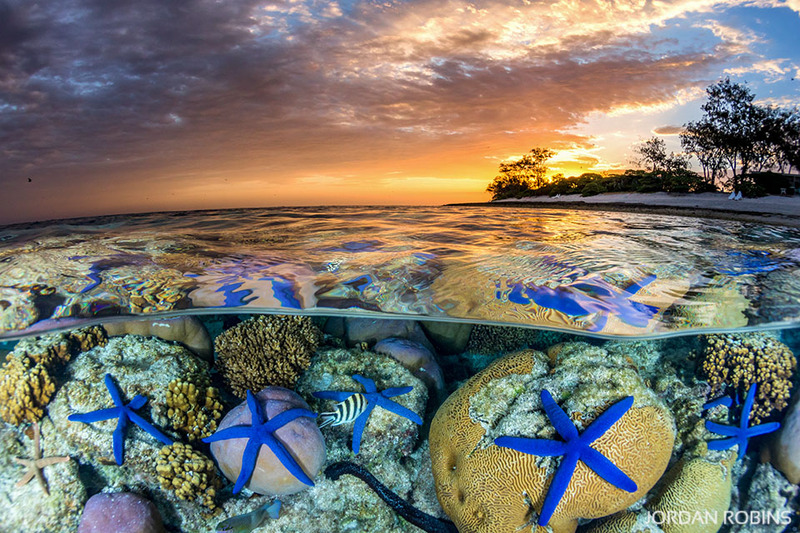 Blue Sea Stars (Linckia laevigata) nestled amongst the coral as the sun sets over the Great Barrier Reef. 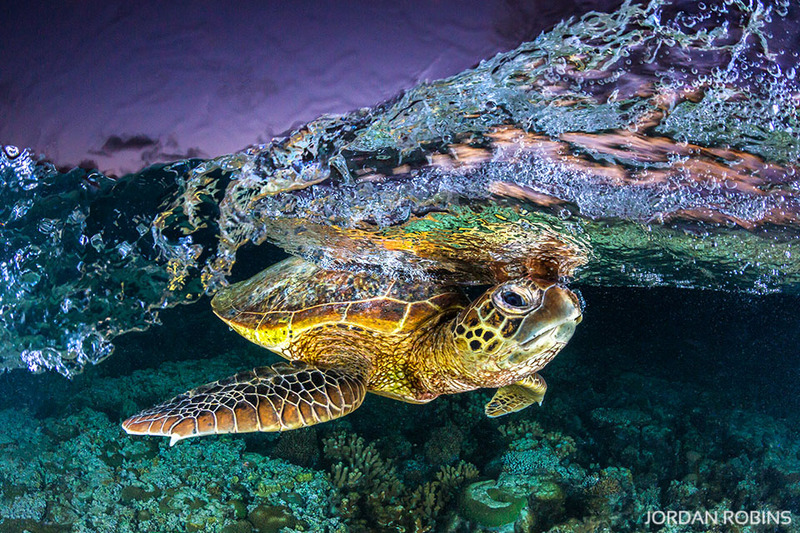 A Green Sea Turtle gliding through the crystal clear water on the Great Barrier Reef. 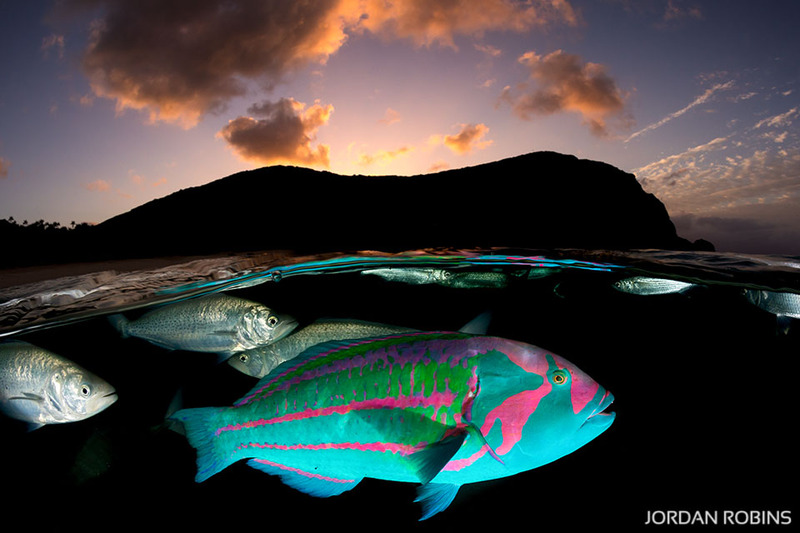 An ‘over under’ image of a vibrant Surge Wrasse swimming on sunset at Ned’s Beach on Lorde Howe Island. 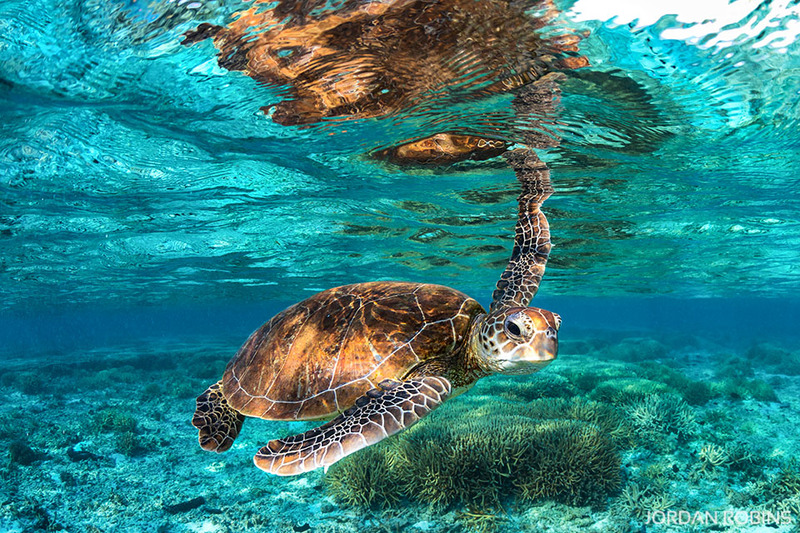 A Green Sea Turtle gracefully gliding though the shallow water of the lagoon as the colour slowly begins to fade in the sky as night comes creeping in – Great Barrier Reef. 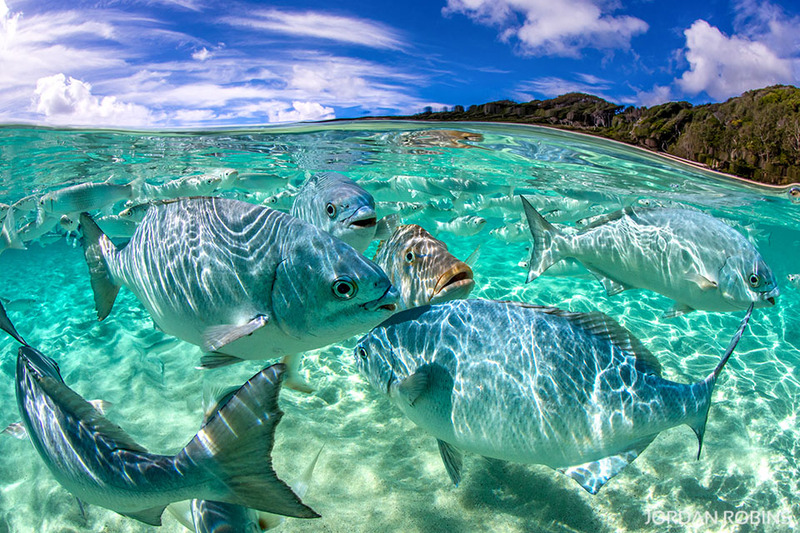 Spangled Emperor, Silver Drummer and Sea Mullet forming a fish frenzy in the crystal clear water at Ned’s Beach on Lord Howe Island.